Superior quality, 100% rag, neutral pH paper for all techniques in water color, acrylic, ink, alkyds, pencil (watercolor, color and graphite), gouache, charcoal and airbrush. 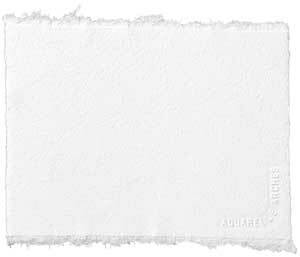 Arches Watercolor Papers will withstand even the most rigorous scrubbing, scratching and erasing. Can also be used for: offset printing, lithography, silkscreen, embossing, engraving, foil stamping and die cutting. Made in France. Watercolorist and Instructor Pat Weaver.